> Who I am ? 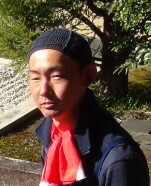 The e-learning platform JAPANESE GARDEN INSTITUTE was born from my passion for elegance and simplicity of Japanese aesthetics, applied to the art of gardening and the pruning of niwaki, as well as a request from people can not come take a course on French site for various reasons, not least because foreigner residents. Each of the videos on this site, celebrating the Japanese soul, is created with the utmost care and always in quality research for your enjoyment as a user. 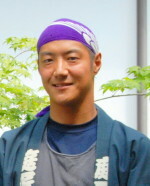 Graduate in agronomy and arboriculture, passionate about nature and Japanese gardens since my childhood, with over 35 years experience in trees pruning as well as the study and creation of non-Westernized Japanese gardens, continuing education in Japan with nurserymen and garden masters since 2008, I teach this art in the Academy "Sublime SUKIYA" (prev. NIWAKI Inspiration ZEN) that I founded in 2006 and is located in the southeast of France, in Green Ardeche. 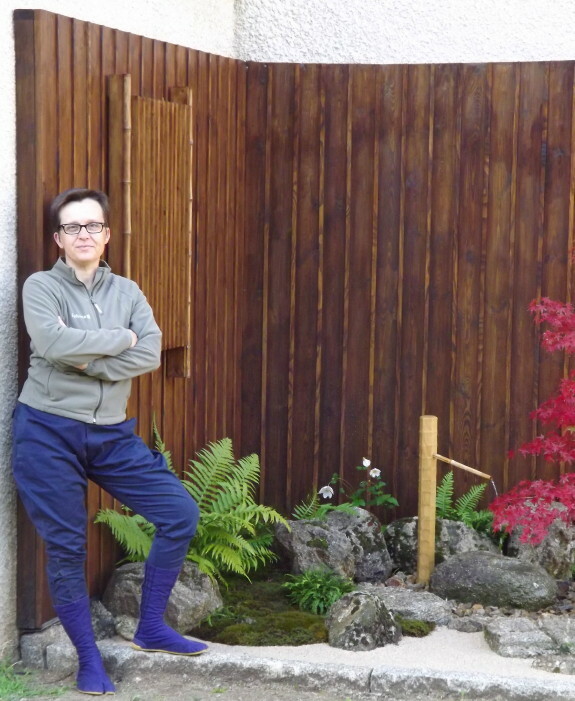 I am also hortitherapist and designer of therapeutic gardens as fabulous tsuboniwa. I am able to provide you with any additional information or image on request via the contact form. 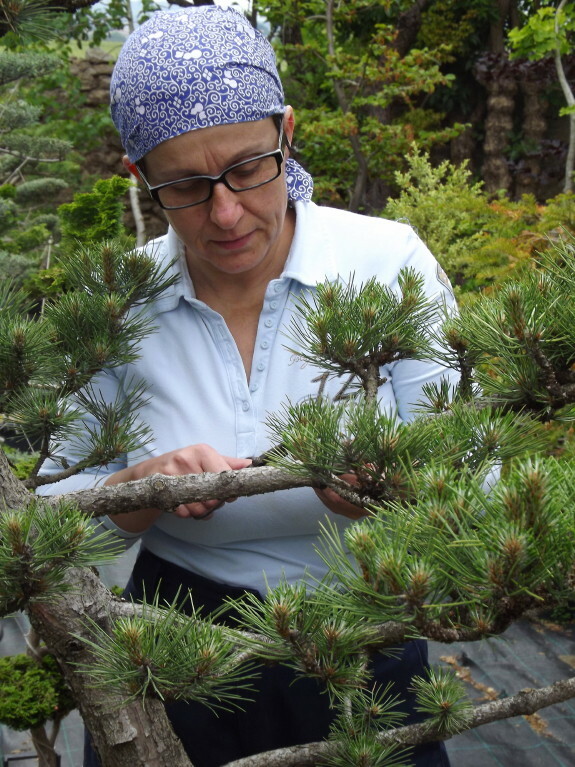 I go back regularly to Japan (1 to 2 times/year) to visit nurseries, meet some specialist professionals to discover more about the methods and the philosophy around japanese pruning. linked to japanese garden landscaping. 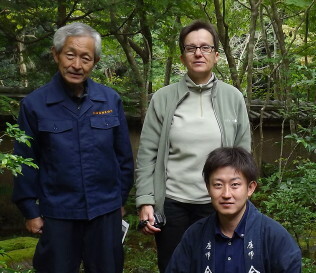 I also go back to work with my teachers Mr OBAYASHI (whose family are japanese pruning gardners since 18 generations), and and I sincerely thank Mr MORIMAE, with whom I began my japanese pruning training, and whose grandfather was a Japanese Landscape Master for the imperial gardens. 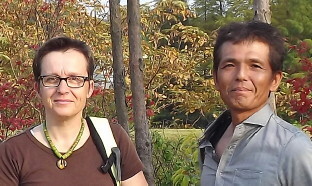 I was fortunate in 2013 and 2014, to be able to continue my training, receiving my pratical exercises, advice and teachings from Mr HOSHI of Zama-shi (Kantō region), Master in japanese gardens, in the purest Japanese tradition, authentic, and "non-westernized". Since the end of 2014, I continue to study and practice with Mr SANO of Kyoto-shi (Kansai region), also a Master in Japanese gardening and tsuboniwa specialist. 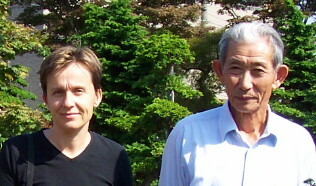 ... and with Mr KANETSUNA of Tokyo-shi (Kantō Region), chaniwa specialist. The "Sublime SUKIYA" Academy (prev. 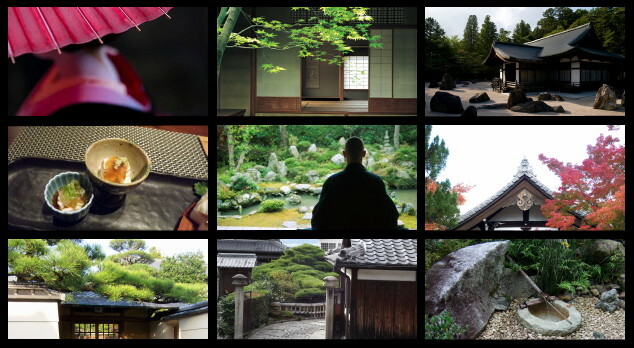 NIWAKI Inspiration ZEN) and its different courses about Japanese pruning and Japanese gardens creating, in a technique and esthetical frame, or as a meditation in movement or in the hortitherapy - niwatherapy© frame. 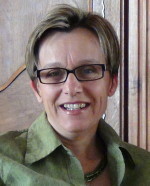 I welcome you on the site of the Academy, located in France, in the Ardèche department, and put at your disposal bed and breakfast if you wish. I also welcome you on our Training Center in North America, near Montreal, each September. The SPIRITUAL JAPAN NIWAKI TOUR is a study tour of 12 days/13 nights which takes place in Kyoto and its surroundings, on the theme of Japanese niwaki and gardens (open to anyone adult, from any country, fluent in English). Beyond the colossal sum of technical and aesthetic information that I will give you on the art of the Japanese garden, it is an initiatory journey, an immersion in a long-hidden Japan, the garden world, a world of contrasts such as the colors of pines and black cedars, mosses and granite and basalt stones. During these 12 days we work to give shape to a new model of social life where art and beauty become a generator of a daily economy and even more of hope and vitality. We take advantage of this fascinating initiatory journey, because it is quite particular, to think about our condition of being alive and to give another measure to the creation (of our life), far from the urgencies of urbanity and modern life. 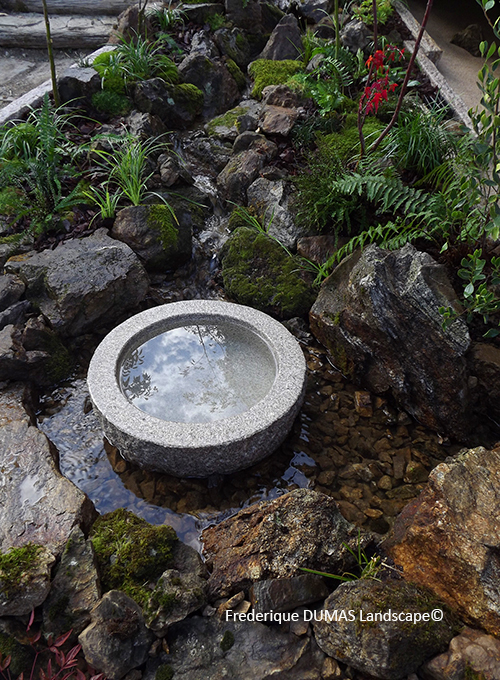 In the tradition of the authentic Japanese garden, Frederique DUMAS Landscape offers you the therapeutic garden "reflection of nature" that creates, provides an ideal environment for our well-being, the maintenance of our health, even a perfect space where the innate healing intelligence can be easily work. The latest scientific studies have shown that substances secreted by trees and other plants have the power to vitalize our immune system by boosting the number of killer cells and anti-cancer proteins. 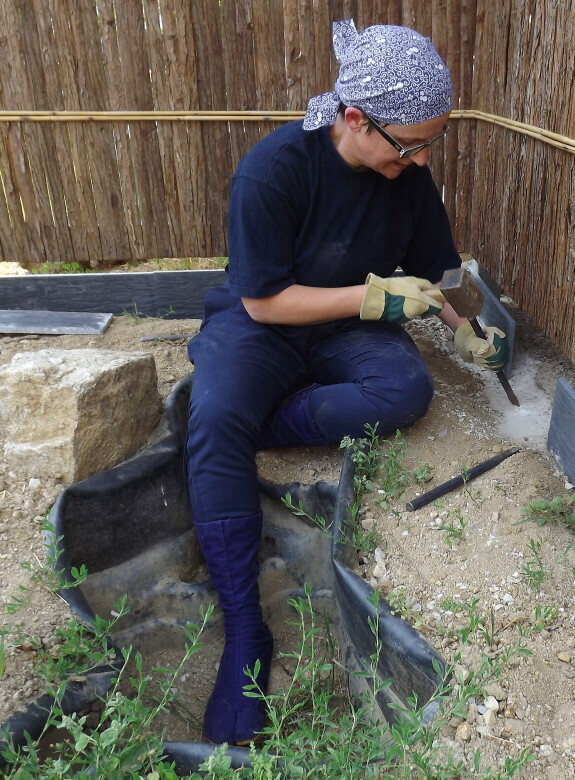 If it is impossible for us to live in the nature and in the vicinity of a forest where the air is charged with terpenes, the development of a therapeutic garden, arranged like a most natural landscape with privileged species, answers exactly to this type of intention.